Hi all , I have successfull kept a Sps dominated reef tank using the algae scrubber. I get good colours and great water parameters after setting up the scrubber about a year ago. 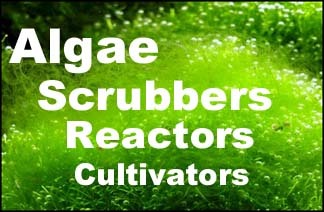 I've done all 3 types of scrubber and the best so far is the floating scrubber , easy to DIY and easy to maintain . So some pictures now. What else are you doing on the tank? Well , all I have now in my sump , filter socks ,then the scrubber in the next chamber then a skimmer and return pump , and a bag of Seachem phosguard .